Start Your Day With Christian Music? A common trait that many Christians have is starting their day with Christian music. Let me tell you, there is no shortage of Christian music out there, from Contemporary to Gospel and everything in between. We want to know what you’re listening to. 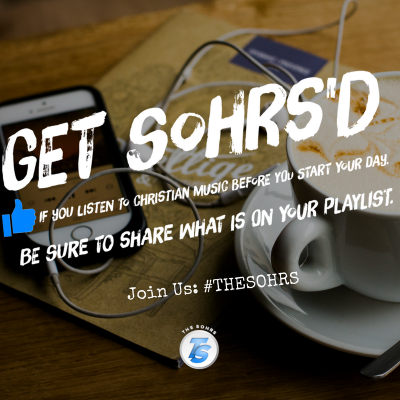 [Like] our social media post this week if you listen to Christian music before you start your day. You may also share what’s on your playlist. It’s time, today is the day that help show the world what Christians listen to. Share some music with us. Participating in the National Day of Prayer?